I switched to the PermaJet FB Gold Silk to replace my Ilford and it's the best decision I made. It's totally flat so is much easier to print on and the quality far surpasses the Ilford. 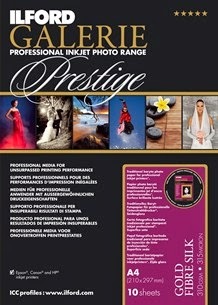 I read a really positive technical review of PermaJet's FB Gold Silk in Professional Imagemaker magazine so thought I'd give it a go. Am totally glad they're back in business but will they be producing some other product under the old names? I won't be changing back but wish them well! 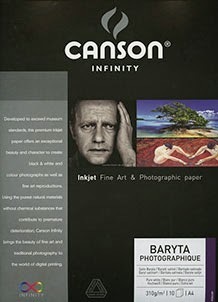 I bought some Canson Baryta Photographique and it looks very close to the Ilford, so I look forward to using it. CR Kennedy were the New Zealand agents for Ilford, so hopefully they will want to keep the same lines once production resumes.